Chairs in our Lead V collection are the perfect office companions. Use the clean lines of this sturdy metal-framed chair to create an upholstered or mesh-covered piece. Plus, you can customize the armrests, choose a four-legged or five-star base with casters, and tailor the seat pad to your body. The additional seat mechanism also allows for extra adjustability. 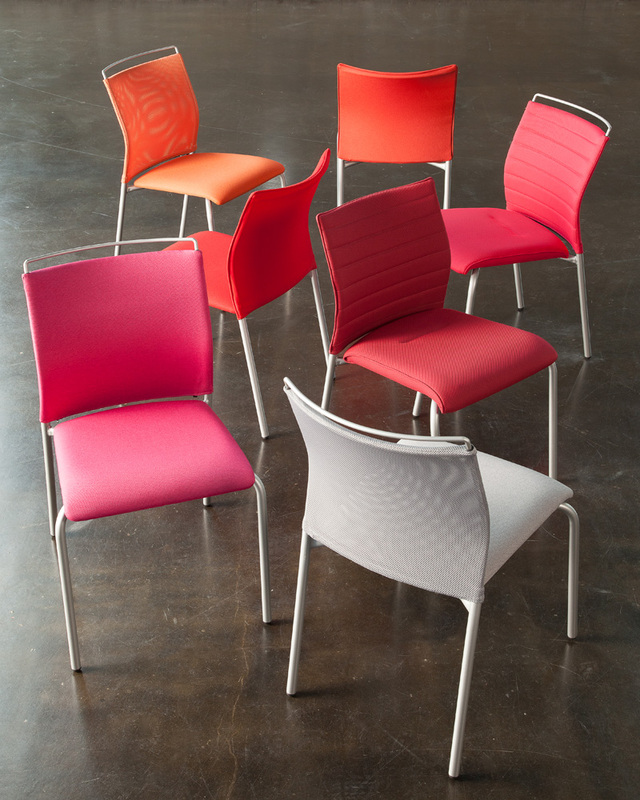 The compact, crisp look and adaptability of the Lead V line allow these chairs to function as side chairs or in collaborative situations, trainings, or seminar spaces. Use the optional top metal handle to easily move Lead V around the office. For a chair that’s durable and comfortable, Lead V won’t disappoint.